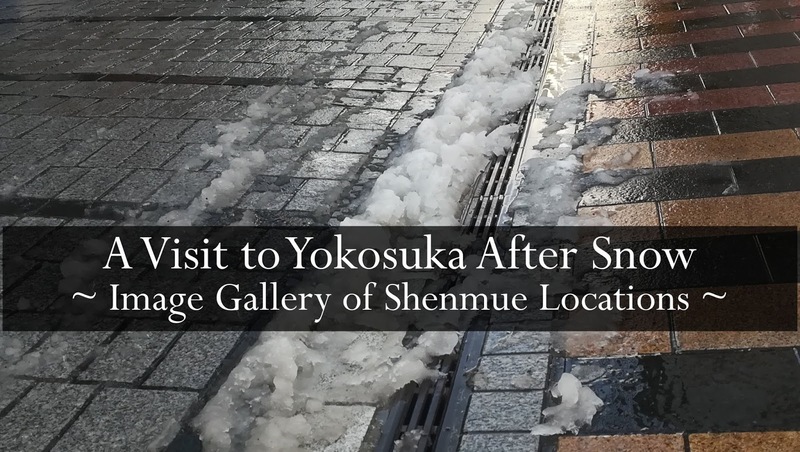 One of the many memorable aspects of the first Shenmue game is its depiction of winter. The moment snowflakes begin to lightly drift down from the cloudy sky is a memorizing moment, bringing with it the anticipation that Ryo's hometown will soon be transformed by a cover of snow and ice. Snow is on it's way. 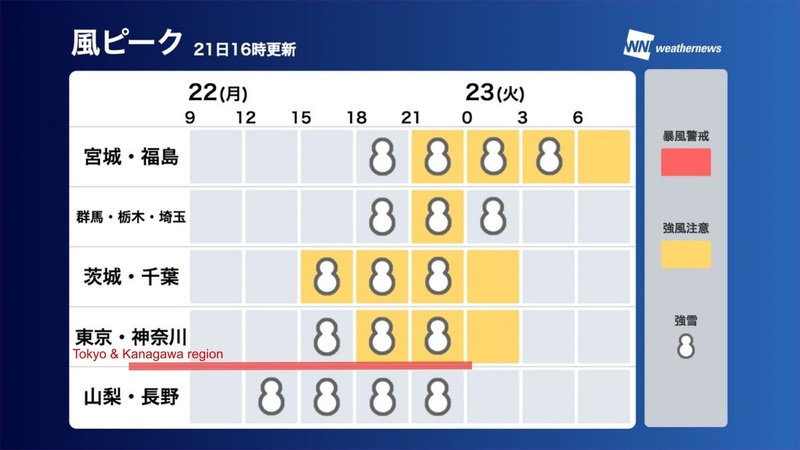 (Yokosuka is located in Kanagawa prefecture). A few days later, snow did indeed fall heavily throughout the region, starting from the later afternoon. 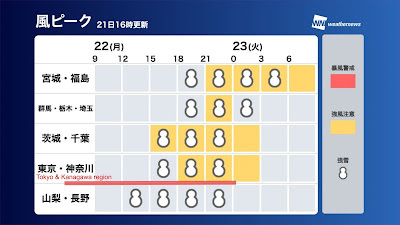 The next morning dawned warm and sunny, so I jumped on a train bound for Yokosuka as soon as I could, before the evidence could melt away to nothing. 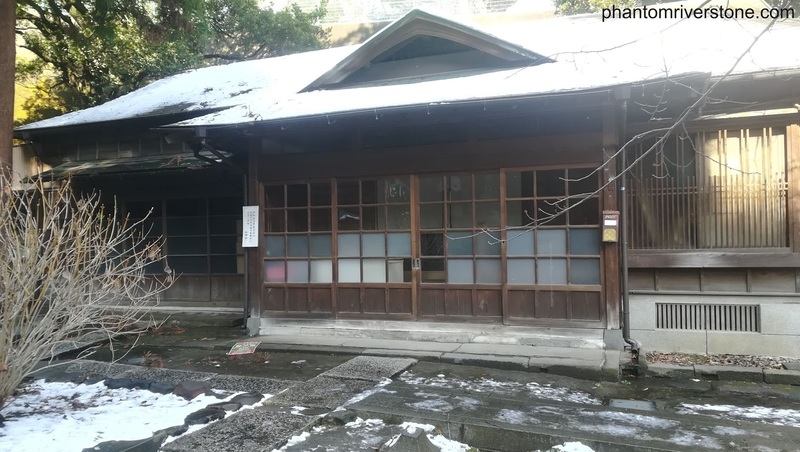 Note: I have juggled the real-life ordering of the photos a little to match with the kind of scenery Ryo sees as he strolls from his house in Yamanose down to Dobuita Street. Actual location: the grounds of Suwadai Shrine. SEGA promoted Shenmue heavily in Japan for its release back in 1999, and in this post we look at an item that was part of that promotional effort. 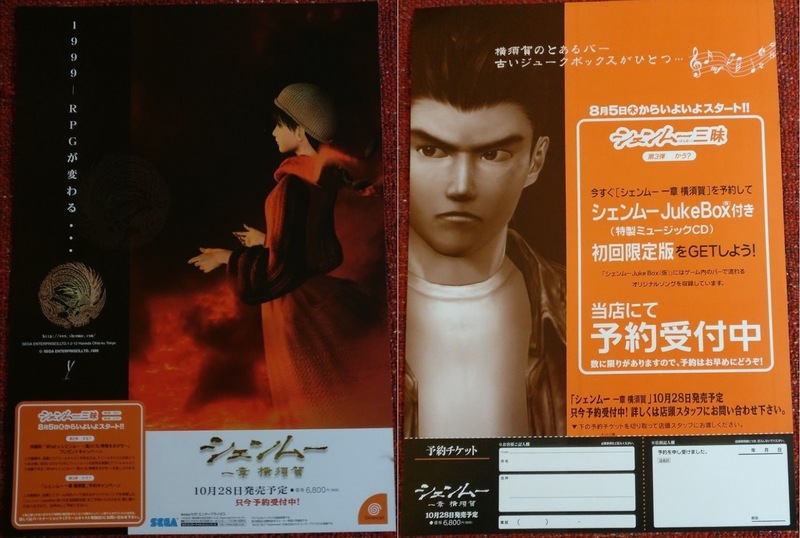 It's an A4-sized shop leaflet that advertises preorders for the then-imminent release of Shenmue Chapter One, as well as information about a promotional campaign. It features an image of Shenhua on the front side, accompanied by the slogan "1999 - the RPG will be transformed...". At the bottom is the Shenmue logo (the kanji version) beneath which is the scheduled release date. On the reverse side is an image of Ryo Hazuki, the usual expression of determination on his face. At the top of the page is a sentence that reads: "In a certain bar in Yokosuka sits a single old JukeBox..." At the right, a box that gives information about how to get the Shenmue JukeBox CD through a promotional campaign (see further down in the post for details); and in large hard-to-miss letters are the words "Preorders Now Being Taken at this Store". At the bottom of the reverse side of the leaflet is a pre-order form that people would fill and hand to the shop. 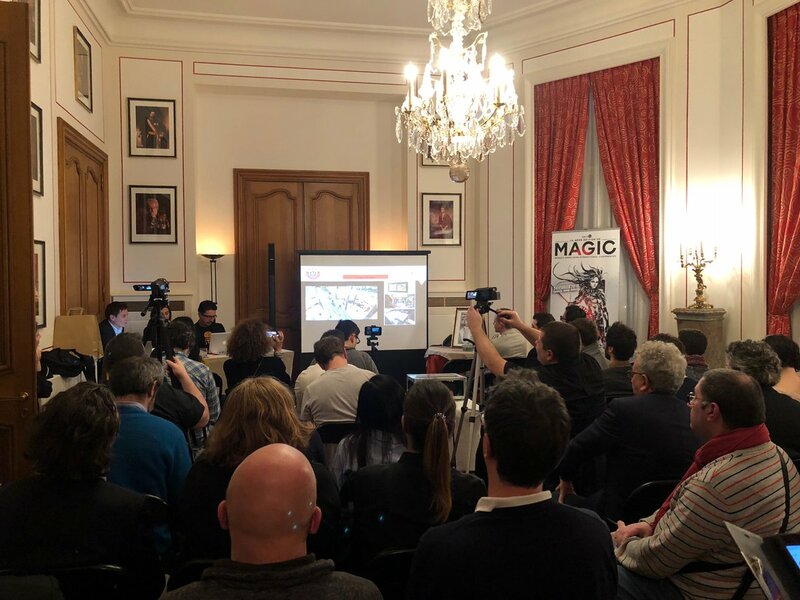 Thanks to the recent press conference for the MAGIC 2018 event, Shenmue fans are looking forward to actual gameplay footage of Shenmue III and "a lot of content" to be shared. Now a brief Kickstarter Update has been released confirming Yu Suzuki's attendance at the event which will take place in Monaco on February 24th. "A conference with Yu Suzuki is planned for the day. Once details have been worked out with participating partners, we will have an update to follow up." We'll post up any new information here on the blog when it's announced. Three fabulous new Shenmue III screenshots have been released at the recent press conference for the MAGIC 2018 event (to be held in Monaco on February 24th) and they have got the community buzzing with their highly-polished appearance. The press conference in progress (from the official MAGIC Monaco twitter account). In this post, we'll do our usual comb-through of the images to point out any items of interest to be found. The recent Shenmue "Sacred Spot" Guide Map published by Yokosuka City highlights several real-life places of interest around Yokosuka and Dobuita that feature in, or served as inspiration, to the setting of Shenmue I. Featured in the guide is a small park called Odakicho Park which is located not too far from Dobuita Street. 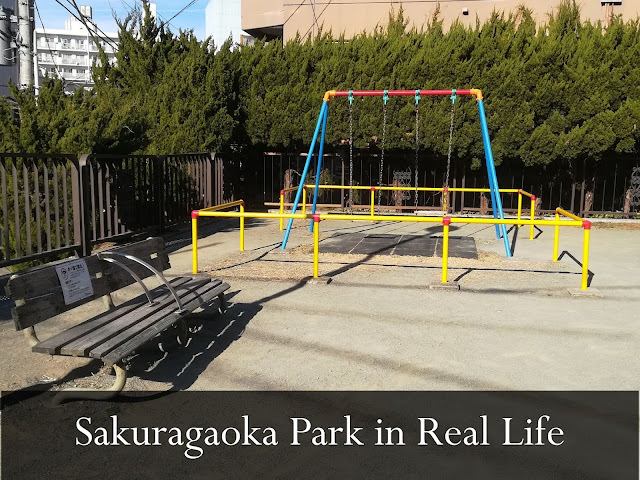 We present our findings that strongly suggest that it served as inspiration for not just Suzume Park as mentioned in the guide, but for that second well-known park in the game as well. 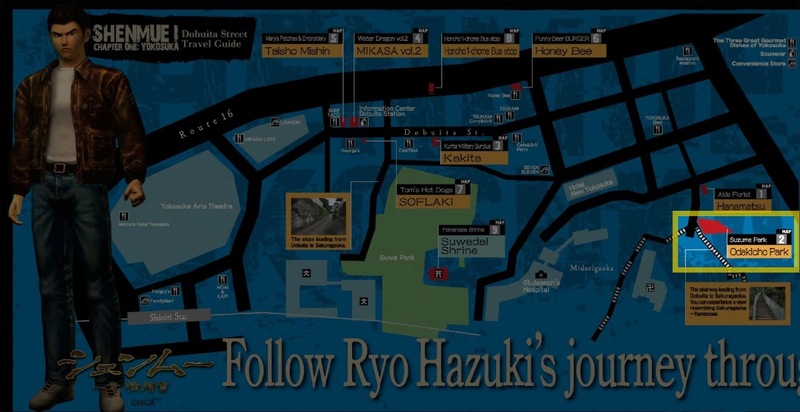 Odakicho Park is the small park highlighted at the right-hand side of the map of the Dobuita area. 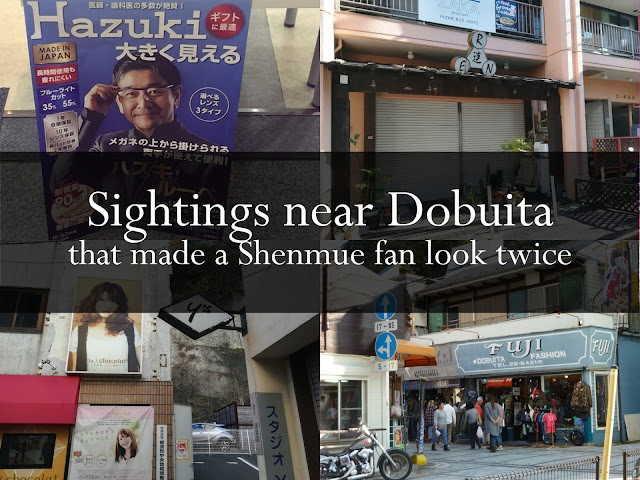 Today I'd like to share a few photos that I took recently in the vicinity of Dobuita Street, which gave me cause for a double-take due to their apparent connection to the Shenmue series (even if this turned out not to be the case in reality...). 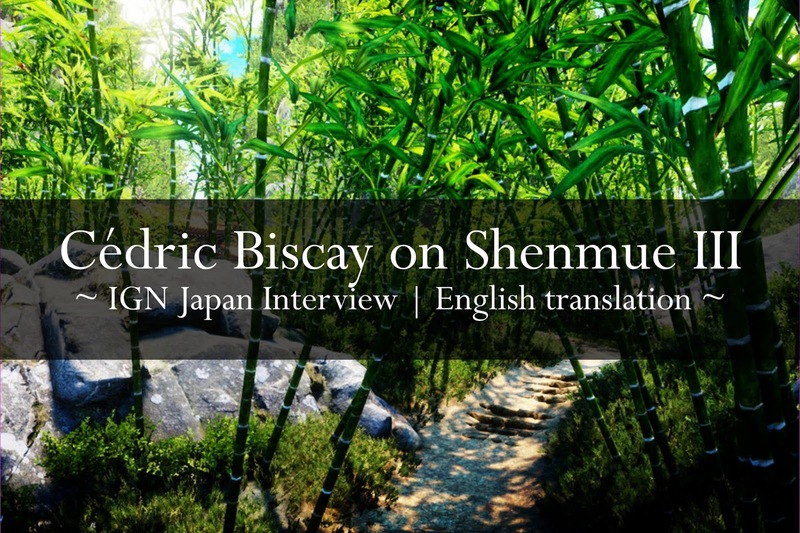 Today's post is a translation of an interview with Shenmue III co-producer, Cédric Biscay, that was recently published in Japanese on the IGN Japan website on the topic of Shenmue III (hence it is an English translation of a Japanese translation of his original comments!). While for obvious reasons Cédric does not reveal specific details about the game, he has an upbeat message to fans on the state of the in-progress game - having tried out the latest version when he visited the development studio in Japan last month - and also takes the opportunity to encourage SEGA regarding remasters of the first two games in the Shenmue series. 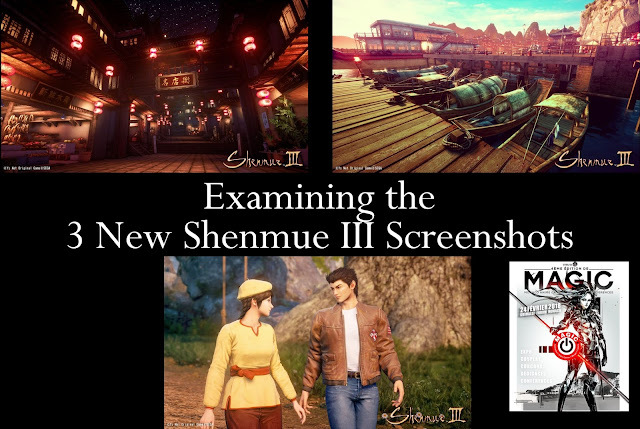 Translation note: Cédric talks about a feeling of "reassurance" on playing the most recent version of Shenmue III. It could also be translated as feeling comfortable, or feeling at ease. To me this is wonderful to hear as it indicates that Shenmue III has the right "vibe"; a feeling of being a Shenmue game. Date of article: 3 January, 2018.